Morris Gleitzman once said that every successful writer he knew could look back to one incident of good fortune that lifted them above the crowd. I think I’ve just had mine. I’ve always loved those stories about the serendipity of some unlikely twist of fate that has led to a publisher discovering a manuscript. Let’s face it, luck and publishing go hand in hand. Having recently acquired a good luck story of my very own (more on that in a moment) it seemed like a good excuse to interview a bunch of talented local authors about how luck has played a part in their own fortunes. People who have never had the job of reading through the heaps of unsolicited manuscripts … have no inkling of two awful facts: 1) just how much slush is out there, and 2) how really, really, really, really terrible the vast majority of it is … Everybody acknowledges that there have to be a few gems out in the slush pile – one manuscript in 10,000, say – buried under all the dreck. The problem lies in finding it. A diamond encased in a mountain of solid granite may be truly valuable, but at a certain point the cost of extracting it exceeds the value of the jewel … Instead of picking up every new manuscript with an open mind and a tiny nibbling hope, you learn to expect the worst. Because almost every time, the worst is exactly what you’ll get. So that’s what un-agented manuscripts landing in a slush pile are up against, and I’ve been there. 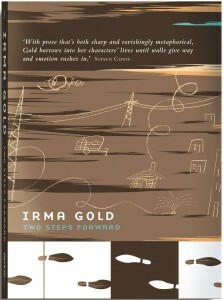 My collection of short fiction, Two Steps Forward, is now sitting on bookshop shelves but it is only there through an unlikely series of events. My manuscript was one of 450 to land on Affirm Press’ desk as part of their Long Story Short series call for submissions. 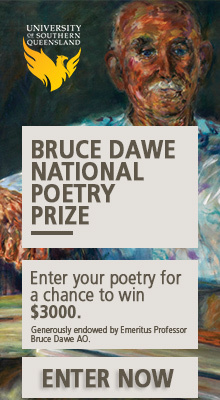 It was shortlisted, but ultimately rejected. In response to the rejection letter I received from the publisher, Martin Hughes, we struck up an email conversation and Hughes offered to give me feedback on the collection. I said yes please and so he went to the assessments to put together something constructive. But they contradicted each other so much that he was unable to glean anything useful from them. As a result he generously spent his Christmas break reading the manuscript. It turned out he liked the book and handed it to his associate who also liked it, and before I knew it the book had been accepted for publication. So if I hadn’t been interested in feedback (and Hughes apparently offered it to other writers who were not interested) he would never have read the manuscript and it wouldn’t now be in bookshops. A stroke of luck if ever there was one. So the manuscript sat there for ‘yonks’ until one evening Guest was tidying her desk and a list of agents given to her by an ex-agent fell out of a pile of papers. ‘I dialed the first number – it was as simple as that. The time must have been right with all the good planets lined up and pushing me along, because Lyn [Tranter] answered the phone herself; she was in the office alone as it was late, and usually doesn’t answer after hours. I told her I’d been given her name. She asked what the book was about – such a difficult thing to answer, that – we talked, she got reluctant because of it coming from a university course, she said send me the first chapter, and I knew it was a professional courtesy to the person who had recommended her. 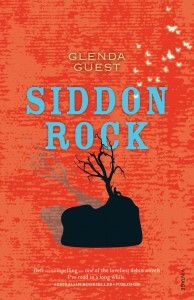 I sent it.’ Tranter took on Siddon Rock, it was picked up by Random House and went on to win the 2010 Commonwealth Writers’ Prize for Best First Book. And it all began with one perfectly timed phone call. For Craig Cormick it was a chance encounter that lead to the publication of his first collection of short stories. He was interviewing David Horton, then head of Aboriginal Studies Press, for an article in the Canberra Times and mentioned that he had written a few stories with Indigenous themes, looking at Australian history with Aboriginal perspectives. ‘Being a nice guy he asked to see to few of the stories … the next thing I knew, a few weeks later I got a letter, or maybe it was an email, stating that the publishing committee had looked at my sample stories and liked them very much and would be pleased to publish my collection and I should send the full set stories to them. I nearly fell over onto the floor in surprise. 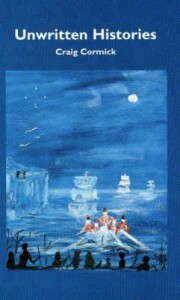 Particularly since I’d only written those three stories and didn’t really have any of the others.’ Cormick wrote the collection, and it won the 1999 ACT Book of the Year Award. Marion Halligan has a story of a different kind. With her fortieth birthday approaching she decided that she had to ‘stop thinking I was going to be a writer one day and do it now’. So she sent out three stories to Quadrant, the Bulletin and Southerly. As luck would have it they were all accepted. Some might say there was no luck at play here, just plain good talent. But Halligan’s next 23 stories were all rejected. Halligan says that if she’d received the rejections first she ‘might never have persevered’. As Nigel Featherstone says, ‘Everything about writing is luck. 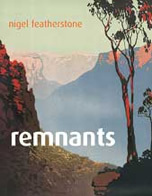 Everything.’ The publication of his first novel, Remnants, is a good luck story of the very best kind. At a colleague’s suggestion he met with Ian Templeman, then head of Pandanus Books, the academic publisher at the Australian National University. Nigel recounts: ‘Over lunch Ian told me how he’d read a story of mine, “Song of Excess”, in Overland and would love to read the manuscript for my first novel – what luck he’d read that particular issue! A month later, I received a letter saying that Ian enjoyed the work but as Pandanus was primarily an academic publisher of non-fiction they couldn’t accept it; I should, however, again make contact with Ian. More than confused, I rang Ian. He said that he would like to publish Remnants, but he would have to establish a special imprint to do so, and this would take ‘some time’. 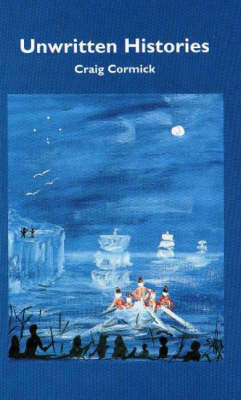 Ian was true to his word, and in 2005 that little novel eventually saw the light of day through Pandanus Books’ Sullivan’s Creek series. Which would fold within a year because the ANU was adamant about focussing on the academic, not the fictional.’ It doesn’t come luckier than that.